Due to problems with our flight, we spent two days at the airport and had just one day to do some things in Naples. 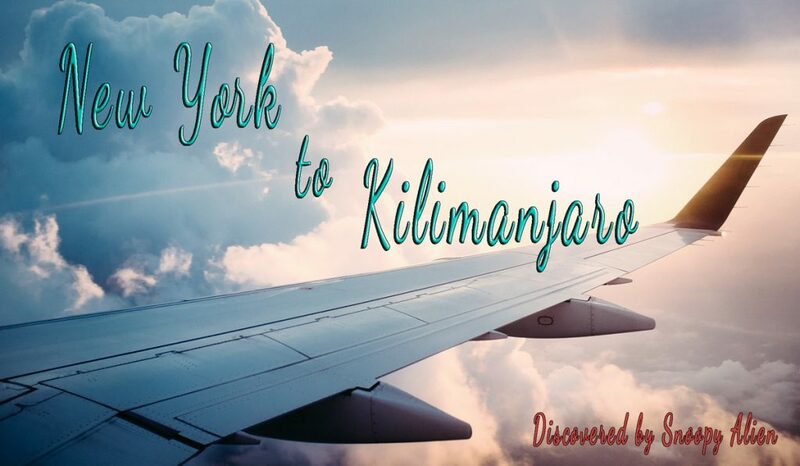 In this article I will show you three places we visited and which were really interesting. So, consider this article as an suggestion. I hope, you will be impressed by those places as we have been. So, read on, folks. The cemetery Fontanelle (ital. Cimitero Delle Fontanelle) is not a usual place of burial. Here you will not find normal graves but a lot of skulls and bones piled up above each other. This place was formerly used as a stone quarry. In the year 1656 there was a huge pest epidemy in Naples and a lot of people became victims of this disease. So, this stone quarry was converted into a burial ground for all these poor souls who could not be interred on a normal graveyard, as they were hopeless overfilled. Since that time, this place is a burial place and serves as place of a last resting place. The Fontanelle Cemetery can be entered be everyone and there is no fee charged. You can also make photos there, but without using flashlights. One more picture of the cemetery Fontanelle and other pics I made in Naples you will find in my Naples-Gallery. The cemetery is located in the Via Fontanelle north of the catacombs of San Gaudioso and when you visit the catacombs, you can continue your walk for about 15 minutes. I recommend to use the GPS on your smartphone. One of the main attractions in Naples are the Catacombs of San Gennaro and San Gaudioso. Let’s take a closer look at the catacombs of San Gaudioso first. After that we will apply ourselves to San Gennaro. The catacombs of San Gaudioso are famous for their macabre death rituals in the 17th century. This ritual, called “draining”, was reserved only for important people of Naples, like aristocrats, knights, judges and other nobility. This “draining” was a process in which the corpses were placed in special niches, or cavities, above special vessels. Those vessels were intended to collect all the fluids from the corpses. After the cadavers dried out completely, their bones were washed and laid to rest. There was a special person who undertook this macabre task, called schiattamuorto. 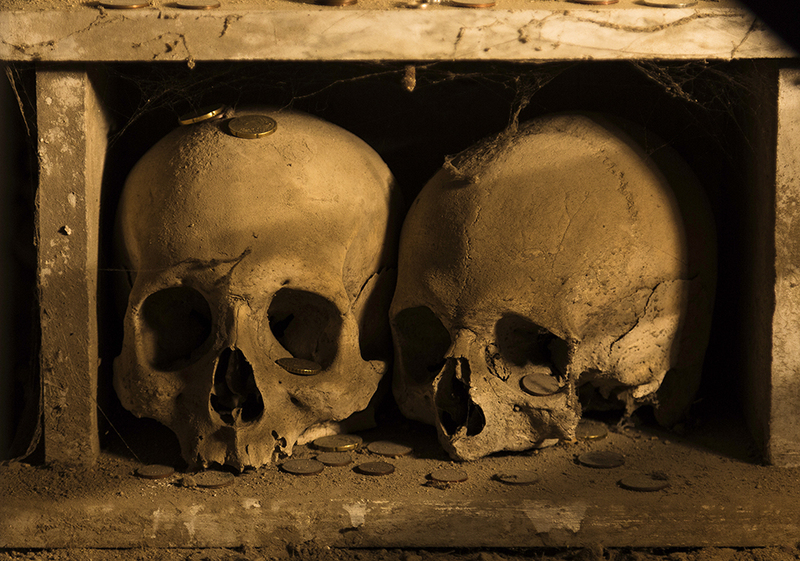 After the procedure of draining, the skulls of the deceased were placed in small niches in the walls of the catacombs. Beneath those niches a painter (Giovanni Balducci) frescoed the bodies of those persons, usually with the clothes of those people and utensils this persons used during their professional lives. To be buried by the draining process was such highly regarded that the painter Giovanni Balducci renounced the royalties for his work, on condition that he would be buried in the catacombs of San Gaudioso too, amongst the aristocrats. Nowadays, the skulls and bones are lying at the cemetry Fontanelle, and you can only see the frescoes. The catacombs are located underneath the church of Santa Maria della Sanita. Enter the church and bear left until you see the guides. Usually there are two kindly students who are playing this role. 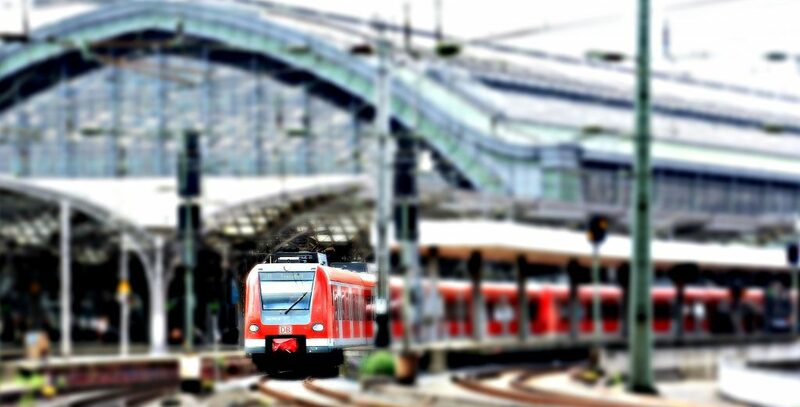 The ticket is valid for one year. The other good thing is that with this ticket you can enter the catacombs of San Gaudioso and San Gennaro as well. The lower catacomb is the elder one and it is located around the Basilica of Sant’Agrippino. It is shaped as a reticulated structure. This “design” nowadays attracts a lot of visitors. The upper catacomb contains the so-called Crypt of the Bishops, with impressive mosaics from the 5th century. The entrance to these catacombs is next to the Basilica del Buon Consiglio, Via Capodimonte 13. 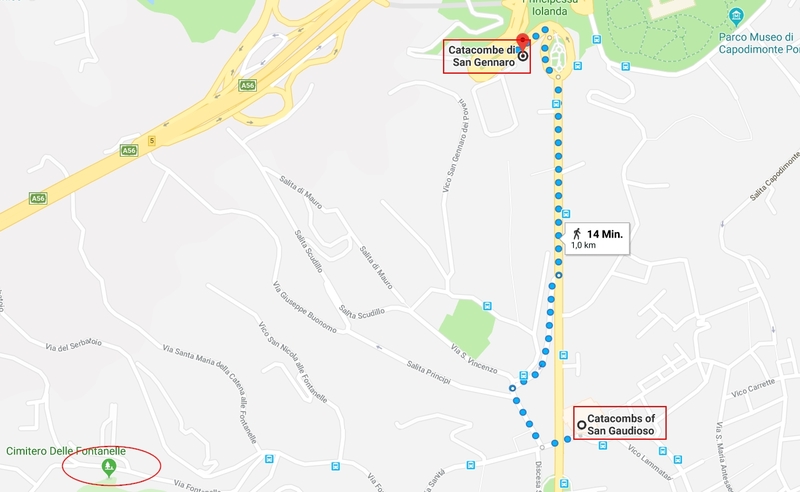 When you visit the catacombs of San Gaudioso, you can reach the catacombs of San Gennaro by foot, which would last about 15 minutes of walking. Entrance fee: 9,- EUR for adults, 5,- EUR for persons under 18 years. 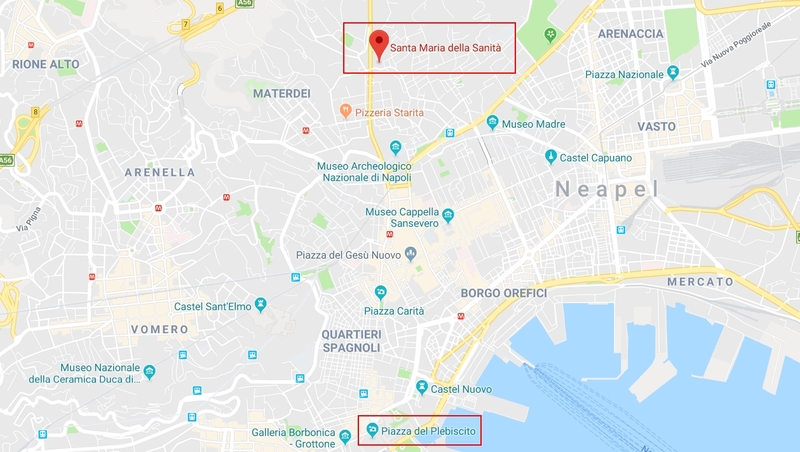 When you already visited the catacombs of San Gaudioso, you can enter the catacombs of San Gennaro with the same ticket without any new payings. 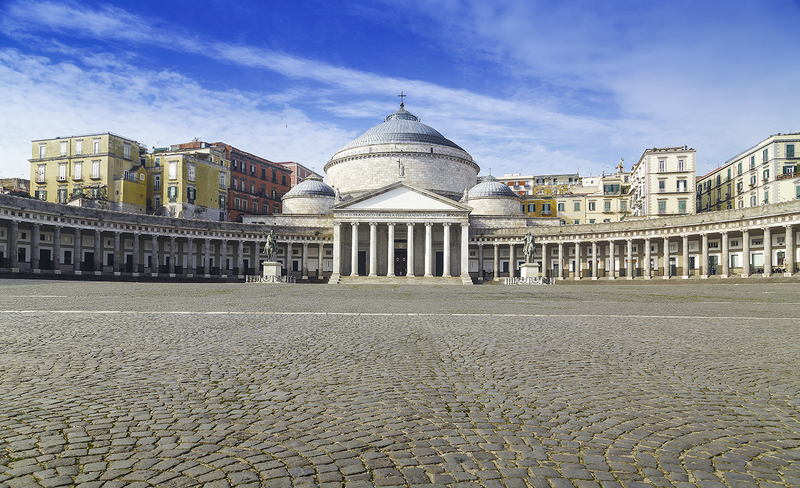 It is surely not for nothing called the main square in Naples. 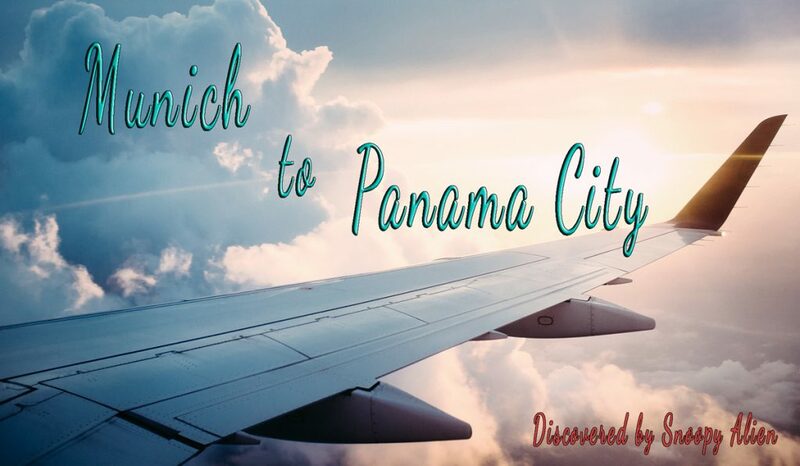 For it is truly a great spot to be visited, as there also the Royal Palace and the Basilica Royal located. Besides that, Piazza Plebescito can be a starting point for you, if you would like to so some shopping, because one of the shopping miles, called Via Toledo, is located very close to Piazza Plebescito. Read more about shopping in Naples in this article. Okay, folks. That’s it. I enjoyed my very short time in Naples, and I am sure to come here again, for this place was great to be visited. In this case I will give you more information about other interesting places in Naples. Have a good time there!